MP3 of the Day: Yva Las Vegass, "Polo Margaritenoio"
Yva Las Vegas was born in Puerto La Cruz, Venezuela. She sings and writes songs on the nylon-stringed cuatro, playin' it like a self-proclaimed mofo. 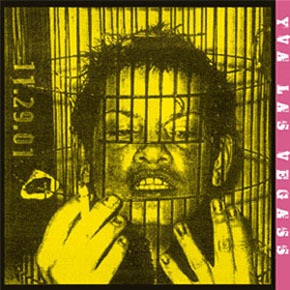 As a street performer in 1990s Seattle, Yva developed an iconic reputation and even joined forces with Nirvana's Krist Novoselic to form Sweet 75. I Was Born in a Place Of Sunshine and the Smell of Ripe Mangoes is a new release from Moniker Records—"a raw and astonishing distillation of Yva's vast and varied life-experiences." The songs range from traditional Venezuelan styles like "Polo Margaritenoio" to soul-purging epics like "Crack Whore."